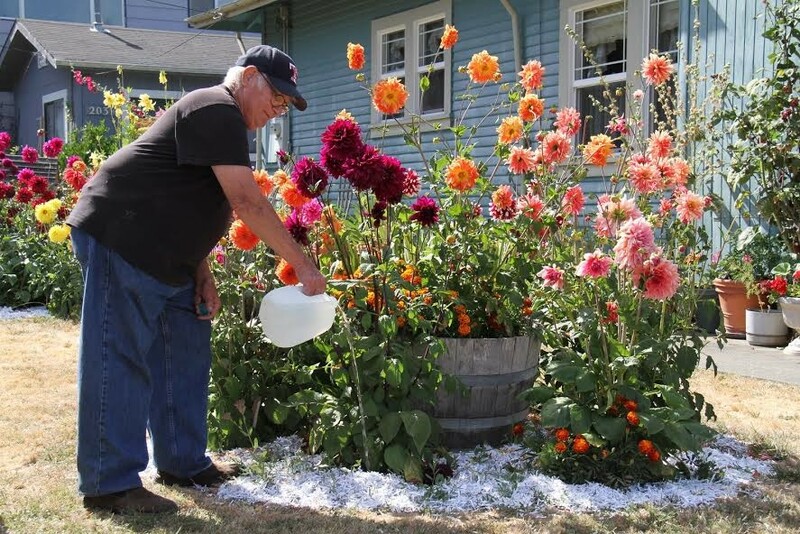 Rio Dell resident Bob Vogel waters his flowers using donated spring water. Hey, Rio Dell: Stick a glass under that tap, turn it on, fill 'er up and take a nice, long pull. Then maybe take a shower. Go ahead: According to a news release from the City of Rio Dell, the State Water Resources Control Board has lifted its drought-panic order forbidding the City from drawing water out of the Eel River, issued a month ago. And that means the citywide, dry-times restriction of water use to 50 gallons of water per person per day has also been lifted. Don't get too sloppy with that water. The city’s still at emergency drought level 3, which means no outdoor watering. The river remains exceedingly low. And who knows what restrictions lie ahead.